The Convention of International Trade of Endangered Species of Flora and Fauna (CITES) which held a conference from September 24 - October 4 2016 in Johannesburg, South Africa where it was decided that all species of rosewood under the genus Dalbergia and three bubinga species (Guibourtia demeusei, Guibourtia pellegriniana, and Guibourtia tessmannii) will be protected under CITES Appendix II. While Brazilian Rosewood is my favourite, is currently under CITES protection, this move places all the other nearly 300 species of rosewood under similar regulation. 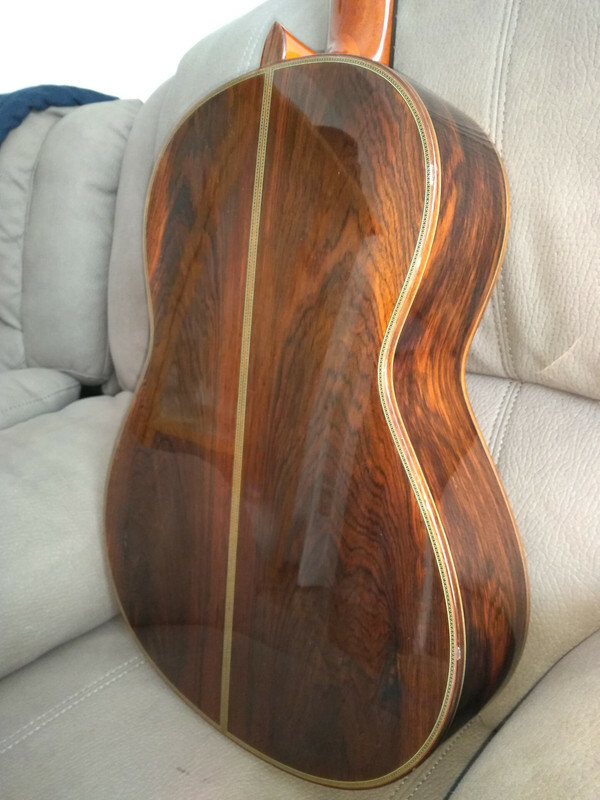 This includes the East Indian rosewood and Honduran rosewood - as well as woods like cocobolo (Dalbergia retusa) and African blackwood (Dalbergia melanoxylon) - that are widely used in the manufacturing of classical guitars. I cannot imagine the future in a world without risewood classical guitar. If this ban stays, it will be a matter of time that rosewood will disappear from the classical guitar scene. 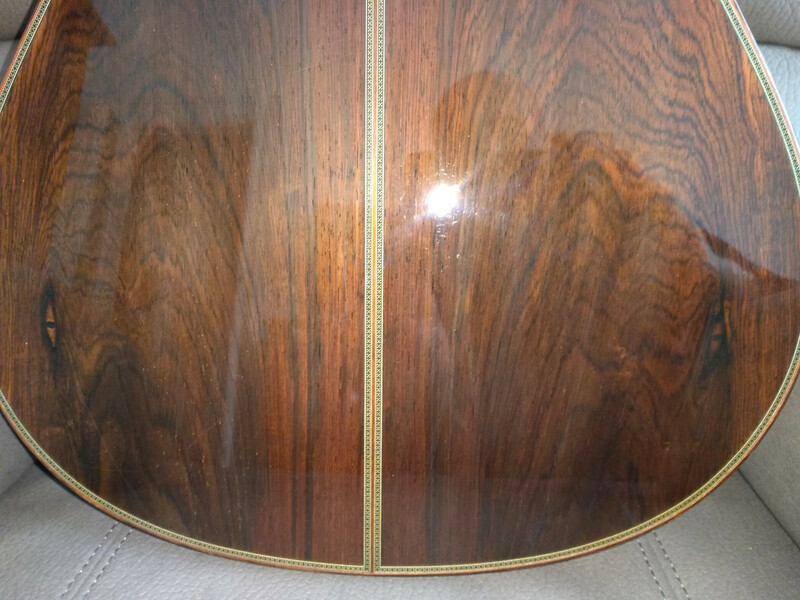 As a tribute to this awesome wood and especially, the Brazilian rosewood. It will be nice to share your rosewood guitars or any rosewood items that you love. I like rosewood trees. Would be a great shame if they became extinct because of vanity. rosewood is endangered because its habitat is bring decimated for agribusiness (plantations and ranching). the wood itself is harvested (historically) mostly for its value in furniture, panelling, flooring, doors, cabinetry, and the like. use for musical instruments is a blip. we're collateral damage, so to speak. You're just now noticing this? It's been in place for some while now, and has been addressed in multiple threads. You are not reading my post. I am asking for tribute to rosewood. Like sharing your rosewood guitar or rosewood music stand as a tribute. If one wants a guitar right now, the issue is essentially the other way round. The offer of CITES free instrument is still limited. The supply chain and the wood stores are full of rosewood and rosewood instruments. I think it is to early for a swan song. I am sure some people here must have some fantastic photos they could share. BR and IR seem to be most people's favorite woods here. FYI, I tried to buy a rosewood music stand but no one is prepared to send it to me in Singapore. So am I too early for the swan song? I quit this discussion. The entire problem came because of people making furniture out of rosewood. This is one beautiful spiderweb BRW on a Japanese guitar. Last edited by HNLim on Wed Oct 03, 2018 2:30 am, edited 1 time in total. This is one beautiful spiderweb BRW on Japanese guitar. Can I ask a couple quick questions to you? It surely would be and I share the concern with you. Meanwhile, it has been known that the wood for guitars require aging for 20-30 yrs before finally being worked on. I heard 5yr is just enough for some cypress and likewise the aging period may vary I suppose. Q1) Having said that, exactly what kind of scenario are we looking at ahead? If we have 20-30 year aging period, then the guitar makers should have at least 20-30 year worth of stock as of now. So we would continue to see BRW or IRW guitars coming out to market for at least two to three decades before using up the current stock of wood. And if we have the threats be successfully addressed during that period, then we would see them released again, and onward should see it on the guitar after the aging process. Then after all we would have seen no rosewoods for the period of 20-30 years. I see some of them are 1000 years old when cut down, whereas 50-100 yo rosewood trees may also be used for the guitars and other instruments. Then are we looking at some 20-50yrs without them after using up the current stock? Q2) What kind of measures in your opinion would take them off the list? Should we (i.e. the people and their authorities) be more aggressively fight against the illegal loggers and smugglers? If so, Do you think the present regulation in place is the best way to possibly save the species? Just possibly, could we come up with some great idea that in turn could be a useful input to the competent authorities, or do we have nothing to do and simply have to wait to miss them after some decades? Can't we together take any small action against the situation? Or should we not discuss about this? Even my Yamaha GC20A has 2 eyes but I do not understand what animal is it?